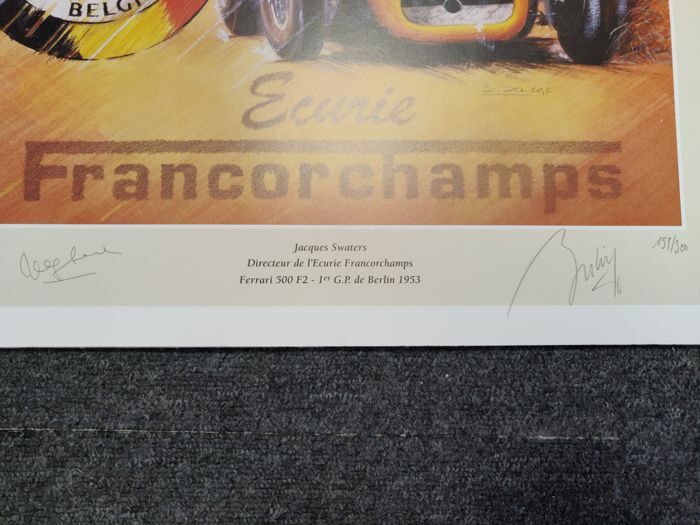 This is a rare Ecurie Francorchamps lithograph. 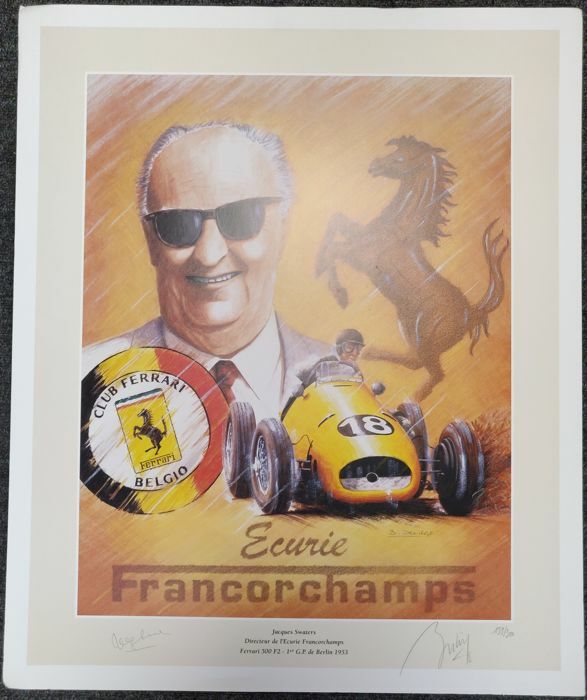 The lithograph is signed by Jacques Swaters, and is published by the Ferrari Club Belgium. 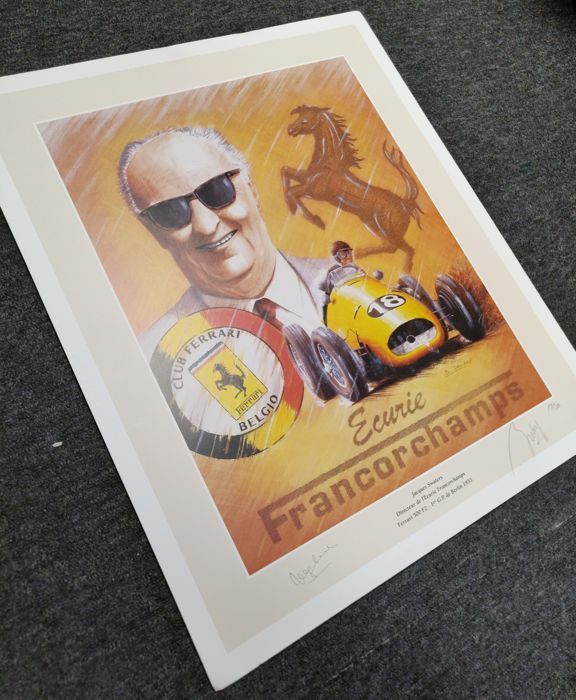 This poster is a limited publication of 159/300 pieces.